Whether you're the family reunion planner, member of an event planning committee, the family genealogist or historian... The fact is you're running out of time, and you needed to wrap up this summer's family reunion event plans yesterday. 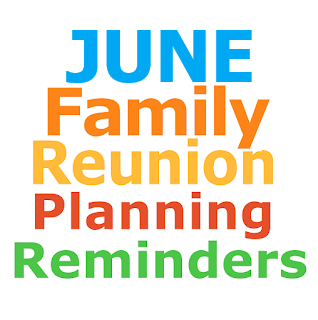 Here are some vital, quick and easy reunion planning reminders you don't want to forget. Fimark's Family Reunion Planner web app. Everything you need to throw a meaningful and enjoyable family reunion event. Download the award winning web app here.